We have close to 2 feet of snow on the lawn and they’re forecasting temps in the low minus twenties Celsius for the next few days. We’re getting close to the dog days of winter; that post-holidays period in winter when in this part of the world it’s too damn cold to be outside for any length of time, and spring is nothing more than a faint glimmer of hope that’s still a few months away. Not ideal conditions for doorscursioning that’s for sure. I don’t know why it took me so long to come to this realization but maybe, just maybe, it’s not such a great idea to be running a photo challenge that requires going outdoors in the freezing cold to take pictures, when I no longer like being out in the freezing cold. In fact I’ve become such a wuss about the cold lately that I can’t remember the last time I was out with my camera. A week or so before the holidays…I think. Thank goodness for the archives. So while I keep the woodstove in our basement stoked for extra warmth and pat myself on the back for changing some of our least efficient doors and windows last spring, have a look at this collection from our time in Nova Scotia last summer. 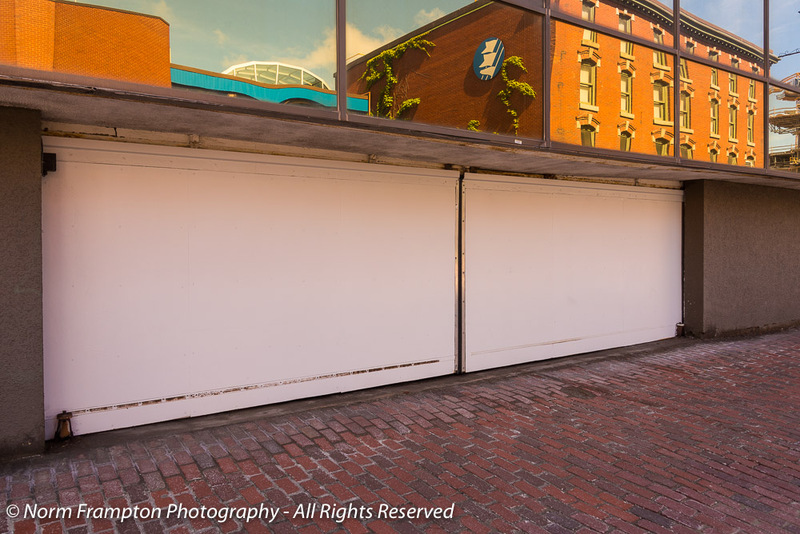 Gallery | This entry was posted in Photography, Thursday Doors and tagged Atlantic Canada, Cape Breton, Doors, Downtown Halifax, Ingonish, Nova Scotia, Thursday Doors, Windsor. Bookmark the permalink. I agree with you on the not going out in winter!! Great set of archives. That first blue is so bold it makes you smile in winter 😉 That Ingonish church is gorgeous too! It really does get challenging. I don’t know when your sun goes down, but here it’s about 6 right now so daylight isn’t on my side, either. Y’all gonna start seein doors at work, the gym, grocery stores… I think I’m about five posts away from featuring the dryer door, the oven door, the bathroom vanities… Oof. These are lovely doors, the doors of summer, here in the middle of January. Thanks Joey. Yes it is encouraging to see that the days are getting longer and that does make it easier for new door discoveries. Enjoy your weekend! The Dartmouth Ferry Terminal Doors and the Catholic Church in Windsor are my favorites. Stay warm and stick to those sunny side doors over the winter. We are bare of snow in New England, but that will change drastically tomorrow. Best to you, Norm. Thanks Jennie. Yes we supposed to get about 8″ but I believe you folks will be getting hit harder than us. A good day to stay off the roads if you can. I am liking the blue rolling through this post. Especially that car door, whatever it is!! The thought crosses my mind that I should go cross-country skiing or snow tubing, but … COLD! Oh, oh, oh! In that photograph of the plain garage door and warm reflections, WHAT IS THAT BUILDING IN THE BACKGROUND WILL ALL DRAGONS CRAWLING ALL OVER IT????? I think that’s just some oddly shaped vines growing up the wall. Wow. Thurber was right. James Thurber said he lived in a much more interesting world without his glasses on. I hate the cold too. My cat hates it too. Nice doors of summer. I’m so jealous of your archive, Norm. You have a wonderful collection of doors in it. I know what you mean about doorscursions and bad weather. We don’t have the freezing temperatures in Ireland that you have but I couldn’t bring myself to get out of the car for this week’s post, I just opened the window and took some shots, then got Mr. R. to drive on a bit for some more. As I’m looking at your photos I’m thinking ‘that’s my favourite’ until I reach the next one. 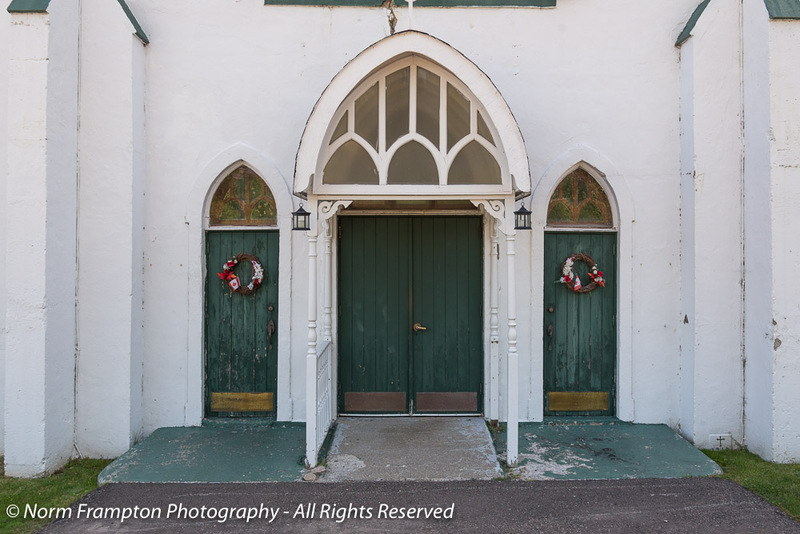 The symmetry of the green doors on St Peter’s in Ingonish gets my ultimate vote … although it was a difficult choice. 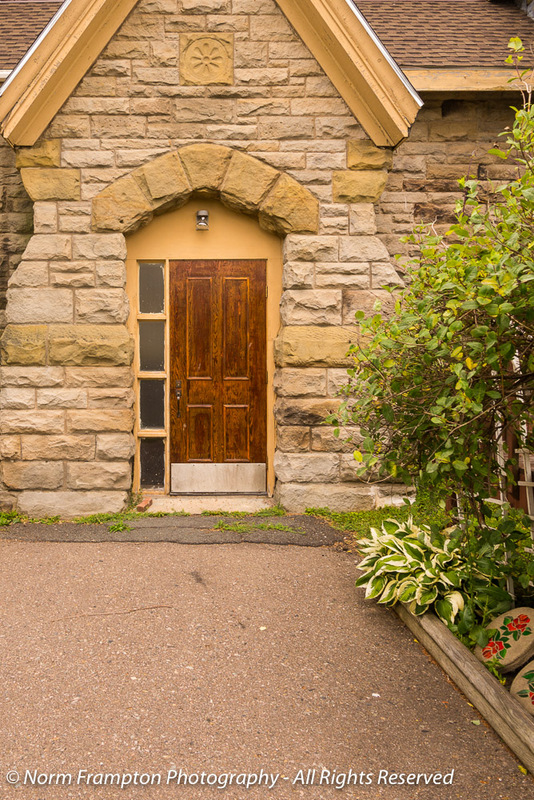 I like the doors at St. John the Evangelist Church. They look inviting to me, which is what I suppose a church wants their doors to do– get the heathens intrigued enough to go inside. Great doors, Norm! You’re lucky to have so many good choices in your library. I’m afraid my library is running low of decent options. And after two weeks of unusual and almost non-stop rain in LA, like you, I haven’t been able to go out and shoot new stuff. But the weather is expected to improve here, whereas there… Brrrr…! Great doors, but even Nova Scotia in summer looks cold. BTW Norm, I am now volunteering to work in Zambia at a rural health centre. 33C and very humid. The Internet connection is poor and expensive, too. There is little scope for photographing doors, but lots of animals to see (as well as patients). Of course, you are welcome to follow my adventures on my usual blog. So next week will be my last Thursday Doors for a while. Thanks, I enjoyed the ride. Some lovely summer doors there. Adore those monkeys. St. Peter’s is lovely. And wow, that’s cold. It’s going to be 4 (F) here on Monday. That’s ridiculously cold for southeastern PA, and me no likee. 4 F is about -15C which is right around when I throw in the towel (or is it a fleece blankie?) and stay indoors. That is cold! Brrrrrr. I don’t wanna be that cold! Of course, with the right gear, it’s tolerable. I should buy some Canadian coats! I’m sure they’re warmer. Wow, you saved some great ones. Out here, no snow but wind, hail and heavy rain are keeping everyone inside and I didn’t save any door pics! Happy Doors Day! With my reserves from Italy I should be good for at least another 6-8 posts if I needed. Hopefully I’ll get out soon though. I’d really like to get out and get some new material. Am puzzled about why you think these doors are less effective. 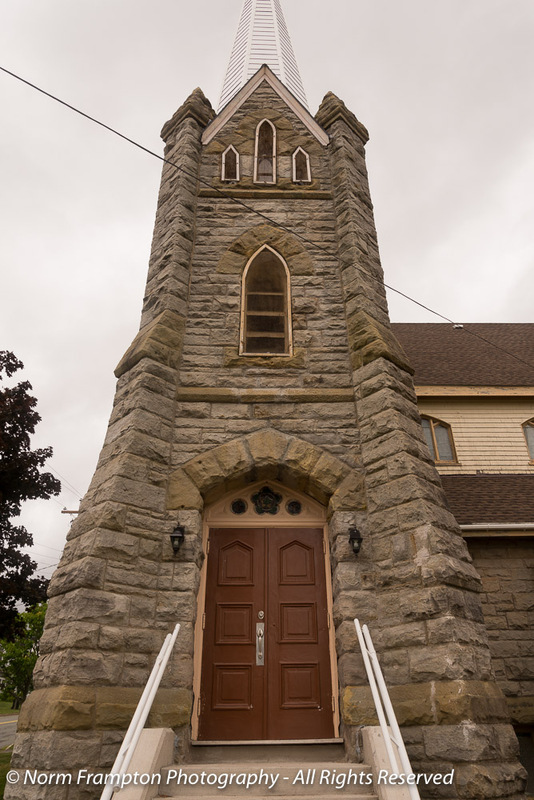 My favorite is the brown door with the stained glass with the David’s star – somehow endearing! And the series of green doors are distinctive! Sorry for the cold, that’s why I live as far South as possible! No no, I meant the old doors and windows on our home were not well insulated. On cold days like today I’m glad that we changed them out last spring for newer more energy efficient ones. A look back at summer photos is just what is needed on a cold winters day. 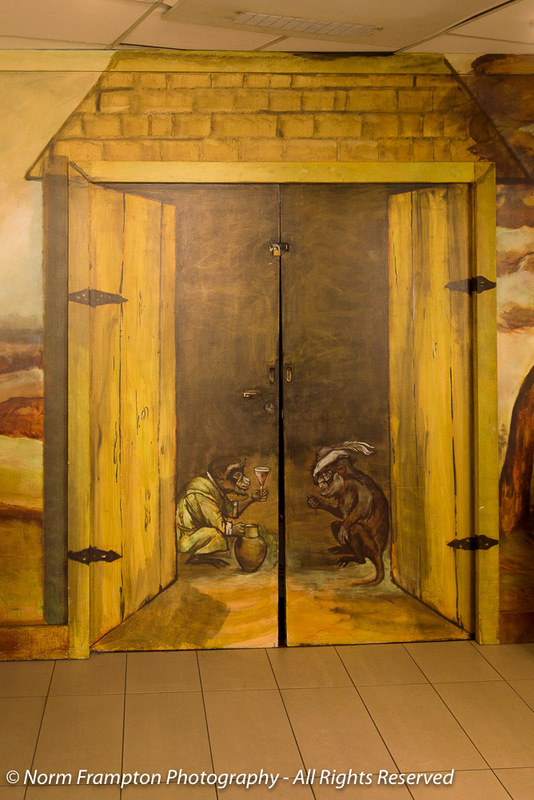 I got a chuckle from the critters in the mural drinking wine. Are they monkeys? They look like a couple of old men reminiscing about the good old days of summer. Tee-hee. I don’t know what model it was but it sure was a beauty of a preservation/restore job. 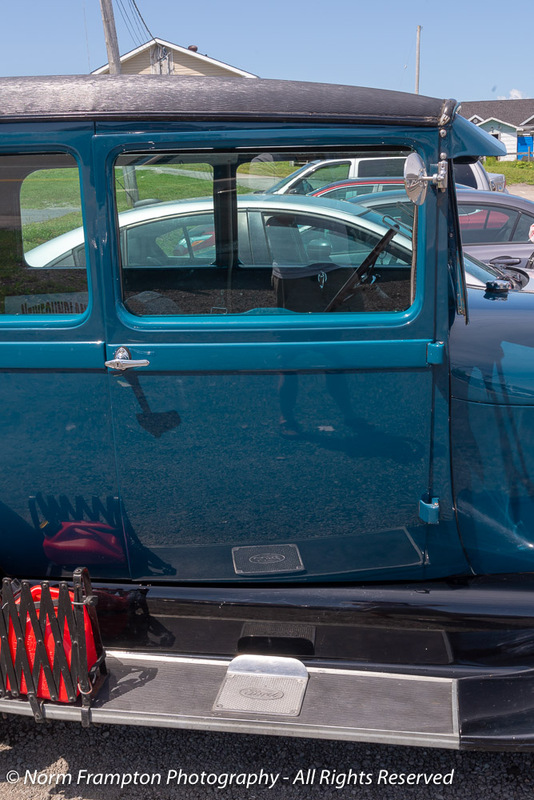 If you check out Amy Sampson’s post this week she has a pic of me taking pictures of that car that show the whole vehicle. You would probably be able to I.D. the model. I am at an age when the cold plays havoc with my body!!! Especially the knees. Don’t do cold either, hence I am posting from Mexico. Going back into the archives is good too. Makes me organize better. I relate entirely to being a wuss in the cold! Thanks for getting out there and snapping photos anyway, because these are great. The blue house is my favourite, and the glass door with the Jewish star at St. John the Evangelist. Thanks Crystal and welcome :-). Glad you were able to join us this week. Feel free to join in any week that you have doors to share. Hey I went over and commented on your post yesterday but I think it got eaten by the WordPress spam filter. Thank you for your comment, Norm, and I think it was truly eaten by something. It’s not even identified as spam. I went looking but can’t find it. However! things don’t look like they used to in the comments section (must be an “improvement”), so I’ll keep looking. Your Thursday Doors are a great idea and I’m excited to be able to join the fun. I know the holed-up / hunkered-down feeling Norm. I resorted to drive-by doors for this week. I do like the little nudge of pressure to get outside, at least for a little while. The Catholic church with the peaked panels at the top looks very nice in that stone entrance. 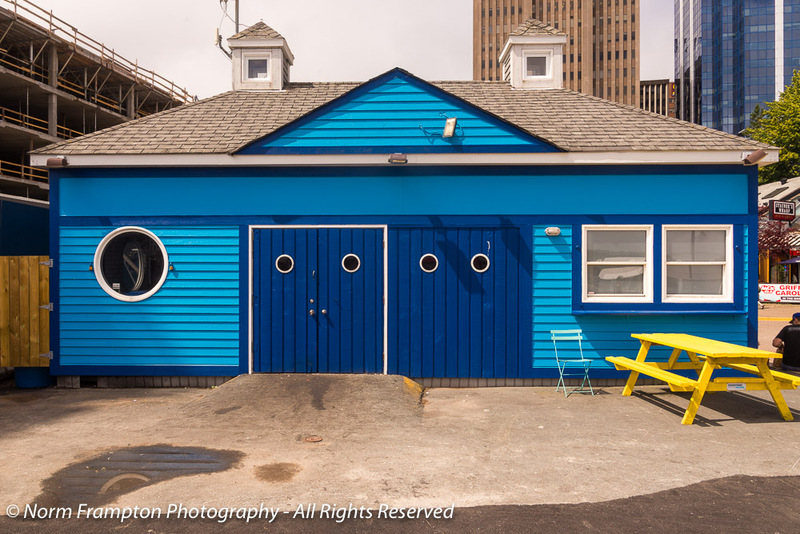 I like the blue doors. You just don’t see that color often enough, it always stands out. 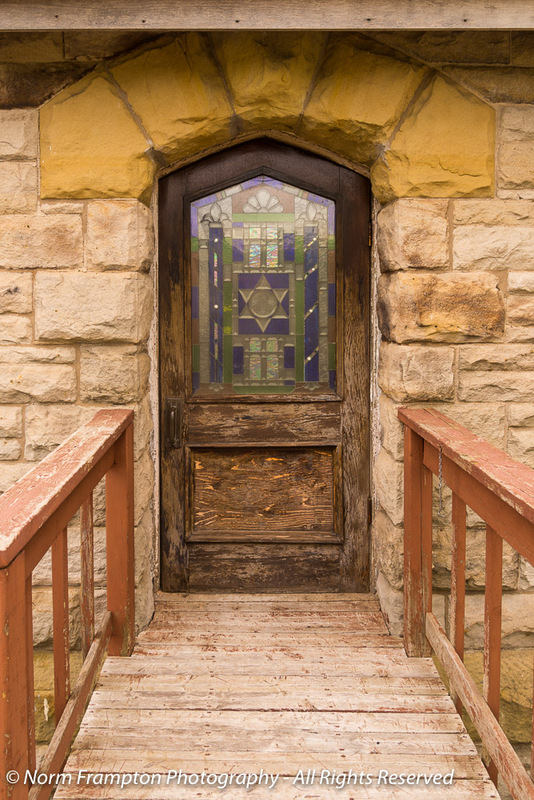 I think my favorite might be the weathered wooden door with the angled peak and the stained glass window. Pretty cool to see the selfie wearing shorts. I guess that isn’t happening today. The doors at the ferry terminal and utility box are nice, too. I like painted doors, a lot. If you check out Amy Sampson’s post this week she has the whole me in her shot from when I took that picture. We had met with her for lunch during our travels. I think the first one is my favorite. It looks like the building has eyes! Hey by the way, your new pic looks great! OMG! I can not imagine that kind of snow any more! Stay indoors and stay cozy warm! I like the stained glass window door and all those painted doors today! I’ve been a little under the weather too so I have been able to keep up with some of my posts. Today’s sunny posts will help cure ya! Hopefully the latest cold blast doesn’t last too long and I can get out again soon. On the bright side in about 6 weeks or so I will probably start planting some of my seedlings for the vegetable garden. I got an earlier than usually start on my tomatoes and peppers last year and they did AMAZING. Looking back to summer is completely fair, especially when it throws up such lovely photos. Someone’s done a wonderful job on the service box. Thanks I.J. 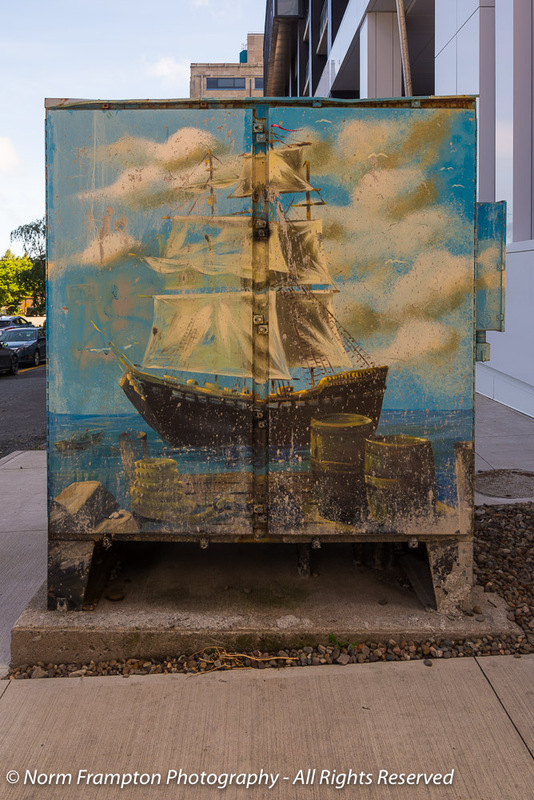 Yes whoever painted that ship on the box is quite talented. Needless to say, I like those arty doors. And you’ve a nice mix of more traditional ones too. Thanks Debbie. So far so good on keeping warm; it’s a nice and toasty 21C inside at the moment. Ahh, this is a great, colourful, sunny and warm compilation. Yes, all pats on the back to you for taking care of the doors, and a massage after so that it doesn’t hurt. All the doors out there will wait, you keep warm and watch them from the inside. No need to pick favourites, all these have their place here today.